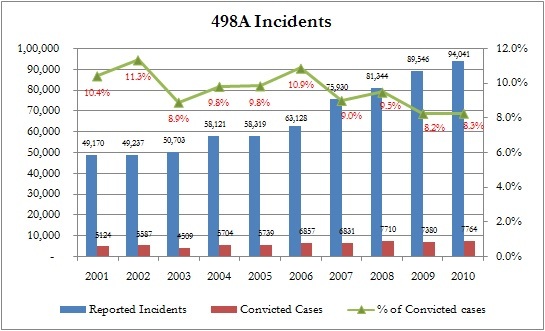 ‘% of convicted cases’ has been calculated as a percentage of the number of incidents reported during the year. (ie. 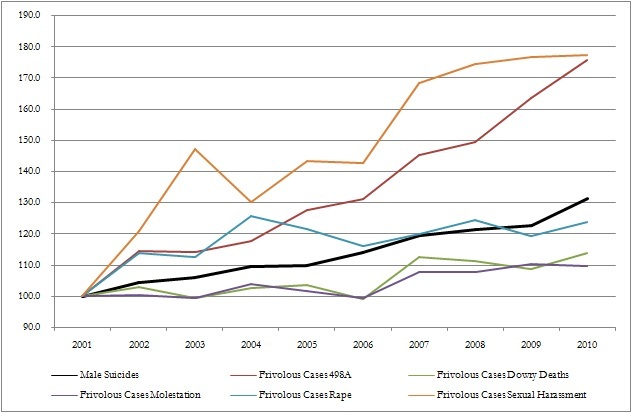 Number of cases in which convictions were made during the year / Number of reported incidents during the year). ‘Frivolous Cases’ mean sum of a) Cases Declared False on Account of Mistake of Fact or of Law, b) Cases not Investigated or in which investigation was refused, c) Cases Withdrawn by the Govt., d) Cases withdrawn by the Govt. during investigation, e) Cases Compounded or Withdrawn and f) Cases Acquitted or Discharged. 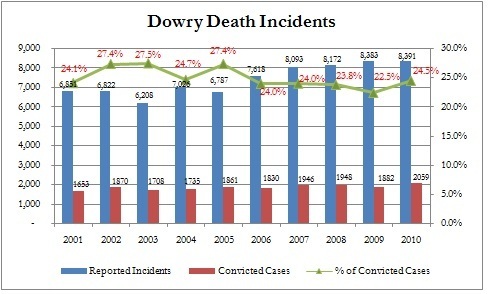 Data Source: NCRB Software for analysis Crime Info and ADSI Info. Please feel free to drop a message if you believe any data / graph is incorrect above. 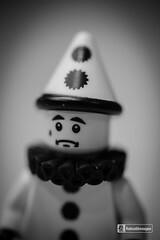 I would try to address your concern as appropriate. This is the part 2 of the National Crime Records Bureau’s (NCRB’s) suicide statistics. The part 1 of the statistics are here. 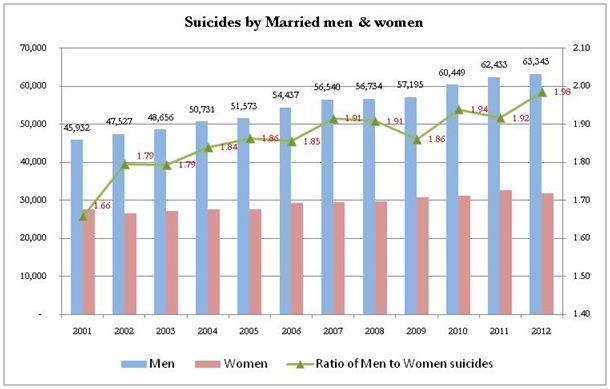 In this part we will try to explore if any causal effects are there to a rise in the male suicides. In discussion with a few male rights activists, false criminal cases and gender biased laws were cited as a probable reason for despair in men. In this article we will analyze if the Protection of Women from Domestic Violence Act, 2005 commonly referred to as the Domestic Violence Act (DV Act) has a causal relationship in increasing in suicides among men.